The founders of Instagram are leaving Facebook after growing tensions with CEO Mark Zuckerberg over the direction of the photo-sharing app, people familiar with the matter said. The stock dropped 2 percent in pre-market trading Tuesday. Kevin Systrom and Mike Krieger, who have been at the company since Instagram's acquisition by Facebook in 2012, had been able to keep the brand and product independent while relying on Facebook's infrastructure and resources to grow. Lately, they were frustrated with an uptick in day-to-day involvement by Zuckerberg, who has become more reliant on Instagram in planning for Facebook's future, said the people, who asked not to be identified sharing internal details. For years, Systrom and Krieger were able to amicably resist certain Facebook product initiatives that they felt went against their vision, while leaning on Facebook for resources, infrastructure and engineering talent. A new leader may not be able to keep the same balance, or may be more willing to make changes that help the overall company at the expense of some of Instagram's unique qualities. The New York Times earlier reported Systrom and Krieger's departure. The founders confirmed their decision in a blog post, although Facebook didn't have a comment on the tension. "Kevin and Mike are extraordinary product leaders and Instagram reflects their combined creative talents," Zuckerberg said in a statement. "I've learned a lot working with them for the past six years and have really enjoyed it." Krieger and Systrom built Instagram and sold it to Facebook for $715 million six years ago. When the deal was announced, the company had only 13 employees and 30 million registered users. Now more than 1 billion people use the app monthly, and it is the main source of advertising revenue for Facebook outside the social network's main news feed. A Bloomberg Intelligence analysis in June said Instagram is worth more than $100 billion. "We're planning on taking some time off to explore our curiosity and creativity again," Systrom said in a statement on the Instagram blog. "Building new things requires that we step back, understand what inspires us and match that with what the world needs; that's what we plan to do." While Facebook has weathered scandals on privacy, fake news and election interference, Instagram's brand has remained mostly untarnished, and continued to quickly add users. With more than 2.2 billion users, Facebook is running out of people in the world to sign up for its social network, and can only push so many advertisements into its news feed. That means it has become increasingly dependent on the standalone photo-sharing app for its future. Instagram attracts a younger cohort of users who are critical to Facebook's growth. Facebook users also have been flocking to Instagram as an escape, tired of the political bickering and privacy scandals that plague the parent company. Users averaged 53 minutes a day on Instagram in June, just five minutes less than on Facebook, according to Android data from analytics company SimilarWeb. Instagram is on track to provide Facebook with $20 billion in revenue by 2020, about a quarter of Facebook's total, Ken Sena, an analyst at Wells Fargo Securities, wrote to investors earlier this year. 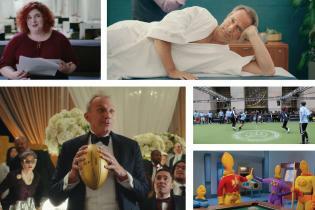 The company recently launched Facebook Watch, a television-like platform that it's spent hundreds of millions of dollars on, mostly for content. That was followed by the rollout of Instagram's IGTV, an app that allows anyone to produce and post longer-form videos. Instagram has a more natural relationship with influencers, who have built up huge followings on the platform, so it hasn't had to pay for them to use the new feature. In a July earnings call, company executives explained that revenue growth would slow in the coming years, and that Facebook would have to spend more to expand. That announcement caused the biggest one-day stock market wipeout in American history. Menlo Park, California-based Facebook is still a drag on technology stocks, which overall have propelled the U.S. stock market to record highs. FAANG shares -- for Facebook, Apple, Amazon, Netflix and Google -- soared about 58 percent last year. Facebook shares are down more than 6 percent this year after rising in every one of the previous five years. The Instagram departures may put further pressure on the stock. The company has started mentioning Instagram more frequently on its earnings calls and taking credit for its success. In the most recent call, Zuckerberg explained that Instagram grew twice as fast being part of Facebook as it could have on its own, a statement that many Instagram insiders felt was unnecessary and unprovable. The departure of Instagram's founders comes just weeks after Facebook decided to bring the photo app's chief operating officer, Marne Levine, back to Facebook to become its global head of business development. While at Instagram, Levine had helped maintain a harmonious relationship with the parent company. Nicole Jackson Colaco, Instagram's head of public policy, also left earlier this year. Adam Mosseri, who formerly ran Facebook's news feed, was brought to Instagram to be head of product earlier this year. 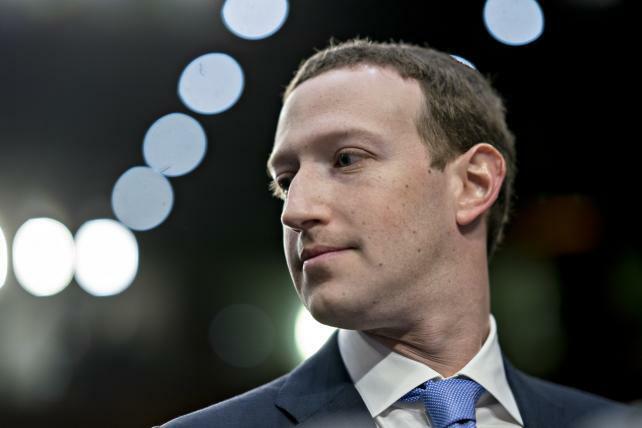 He's the most likely successor for the founders, people familiar with the matter have said, though Facebook declined to comment on who might take over. In the past year or so, Facebook has lost several top executives at its biggest acquired properties. Brian Acton and Jan Koum, the founders of WhatsApp, announced their departures after disagreements with Zuckerberg over the messaging application's business model. Chris Daniels, an executive close with Zuckerberg who formerly ran the troubled Internet.org project to connect emerging markets to the internet, replaced them at the app. Since the WhatsApp shuffle, Instagram employees became nervous about something similar happening to their group, according to people familiar with the matter.